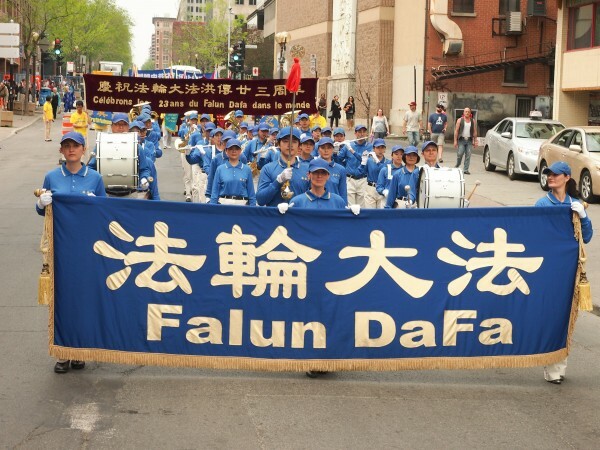 Falun Dafa Day was celebrated in Montreal on May 9th. It was a very hot day, unusual at this time of the year. A parade was held around Chinatown in a happy atmosphere. Some practitioners gave some balloons to the children. After the parade, the practitioners did the exercises and many people stopped all afternoon to watch and take pictures and videos. Several people also learned the exercises.